If you (as a satisfied customer of ours) would like to leave some genuine feedback for others, then please get in touch or press the blue button and write a review on Google. You can also review us on our ‘Which?’ trusted trader page by clicking the logo below, thank you. 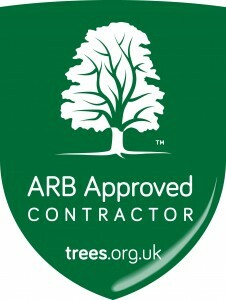 To verify if an individual currently holds an ISA credential at the International Society of Arboriculture click the ISA logo above and complete a search using this identification number UI-1183-A. Had a 60 foot Cedar removed that was very near our conservatory, mains sewer pipes and above our neighbours new fence. All limbs and trunk sections were expertly removed, rigged and lowered carefully to the ground. A very thorough and professional service from the quote right through to tree removal and clearing up! I highly recommend this company! Hi Geoff, Just a quick note to say thank you for sorting out my trees and hedges again. whether to remove a tree or not. I’m glad I went with their suggestions as it looks fabulous now, with much more light in the garden. I particularly liked the idea of turning the stumps into what looks like giant mushrooms. Ingenius and they said it’s good for the garden. I’ll be using you again when the hedges get out of control next time. Dear Acme Arb Limited. Re: Feedback submitted on your firm through the TrustMark website. A customer of yours has submitted some feedback about your firm on the TrustMark website. This feedback has been checked and approved by the TrustMark Team. Please see below. Geoff and his team at Acme Tree Surgery provided an excellent service. The work was carried out promptly and on the day required, no messing about or excuses. The standard of workmanship was high and carried out safely. Finally, all litter was tidied up and taken away afterwards.